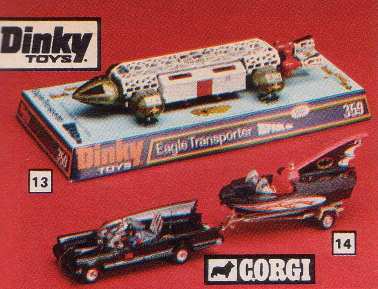 Made by Dinky Toys this was from the brilliant TV series featuring the adventures of the crew of Moonbase Alpha created by our old friends Gerry & Sylvia Anderson. The Eagle transporter was a pretty cool design and even had a detachable container, us kids loved things that came apart. Looking at it now I thinks Lucas Arts must have been influenced by the design for their Star Wars craft.